In my ten years’ experience of working with teams at all levels in organisations, I’ve found the FIRO tool one of the best ways to accelerate a team’s development. It’s a catalyst for the transition from a group of individuals working well (or badly!) to a team that has common objectives and drive, and team members who understand the journey they need to take to become high performing. Once they’ve experienced FIRO, team members are often more able to discuss openly what they need from each other to support the team and share resources, becoming less territorial and more collaborative. What I love about FIRO is that it really gets to the core of what’s driving people and their interactions with each other. This was the case when I worked with the leadership team at a large NGO. The organisation was making budget cuts, and this team was tasked with leading the way on a new organisational strategy. However, the one thing these highly competent, powerful execs weren’t doing was working together as a unified top team. During this time of change, there was little energy or will to collaboratively deliver a new, possibly controversial organisation-wide stategy. Instead, there was a huge amount of infighting and divided loyalties. As an Occupational Psychologist looking at this situation, I could see that there was a lot of ‘under the table’ stuff going on – individuals with different needs that were being met by the conflictual behaviour demonstrated in those meetings. As the FIRO tool looks at interpersonal needs, I decided to introduce it to the team. The great thing about FIRO is that it makes explicit things that are going on under the surface, which those involved normally only become aware of when conflict happens - and even then things are clouded by clashes and strife. The differences in interpersonal needs shown by FIRO can often explain the source of conflict, and can give people a language to talk about it in a depersonalised and constructive way. 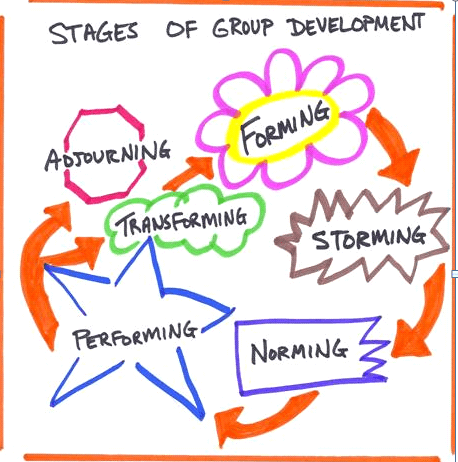 I based my work with this team around Tuckman’s model of team development, which describes how a team starts by forming (individuals are recruited into the team and work out their level of commitment to being involved); it then moves to storming (conflict happens and people jostle for position); this is followed by norming (the team agrees mutually beneficial and acceptable ways of working together) and performing (the team operates like a well oiled machine and gets a lot done). This was particularly relevant for this top team, as the people in it clearly didn't see themselves as a real team. In that respect, they were a team in the process of forming… but not getting very far with it. FIRO shows us that people have different core things that drive them: this can be Inclusion (need for consultation and involvement), Control (need for structure and influence) or Affection (need for closeness and connection). One of the first things I asked this team to do was to stand in a position in the room that corresponded to the stage in the Tuckman model they thought the team was currently in. As is often the case, they surprised each other by not all standing in the same place. People had different perceptions of the very same team of which they were members. Through exploring this with the team, it emerged that their understanding and needs in relation to their experience of team development were driven by their underlying FIRO needs. Those people who were driven by an Inclusion need were more drawn to and comfortable in the ‘forming’ stage, wanting to explore the team’s composition, who was involved, and why. For those driven by a Control need, they were more drawn to the ‘storming’ phase of team development, exploring roles and responsibilities within the team and what the team’s purpose was, and were comfortable competing with each other. And for those with Affection as their key driver, they were pulled towards the ‘norming’ phase of team development: the opportunty to develop contact and one-to-one relationships within the team, to establish closeness and harmony and to move beyond the conflict. Individuals began to identify their own needs in relation to the development of the team and where they felt more or less comfortable. Through this discussion and subsequent exploration, the team began to understand some of the ‘under the table’ conflict; and with this FIRO insight, the team could begin to see why they weren’t working cohesively together. They were all coming from completely different standpoints, literally and metaphorically, and they were all driven by different needs. You could start to unpick this when you probed the types of questions they asked: sometimes a seemingly banal question has a whole landscape of different needs behind it. For example, those driven by Inclusion might be asking “Why am I involved in this discussion?” or “How can I contribute?”. Those driven by Control ask “Is that person competent enough to be doing that?” or “Can you make sure that is sent to me for approval?”. And those driven by Affection ask “How can we move forward?” and “What can I do to help?”. If others in the team don’t interpret these questions in the way they are intended and instead see them as an unreasonable challenge or an irrelevance, this prevents them from moving forward beyond forming, storming and norming, and restricts the start of performing. I left the NGO leadership team at a point in their team development journey of new awareness, both at the team and individual level. They were starting to identify as a team and become excited about the new possibilities this brought, combined with an empowered feeling of facing the challenging times ahead together. As for me, I took away an enhanced understanding of the insight that FIRO offers and a reminder of my own needs in relation to team development – and so the forming, storming and norming continues!